Invention of telephone was breakthrough in the field of communications in the 19th century. With the remarkable invention of computers in the early 19th century and the fast pace at which the technology has advanced in the era following it, Means of communication have become advanced and are no longer to a traditional telephone. Telecalling has seen major advances and modifications to suit the needs of increasing modern-day user base. Voicemail in the Tele-devices is one such service. So, if you’re a hard-pressed person and want to set up voicemail on Android phone so as to automatically fetch your messages in future; then quickly go through our guide below. What is a Voicemail Function? Voicemail is an electronic system which can store messages from telephone callers; when the recipient is not available, for later retrieval by him/her. 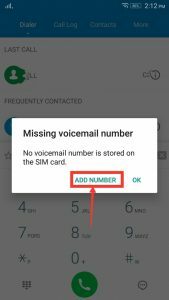 Sometimes people feel that setting up voicemail on android devices is heck of a task, but it isn’t! Here we will discuss two basic ways of setting up voicemail on android phones; so that you can easily focus on your daily chores and attend to all messages in your breaktime with ease. So, Voicemail can be set up by using phone carrier services or alternatively by using the software by Google called as Google Voice. 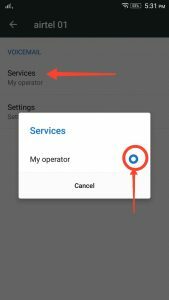 We can use phone Carrier to set up voicemail. Most phone carriers offer their voicemail services at varying rates in different countries across the world. It is the standard method for installing voicemail facility on Android phones. Whereby the messages from the callers left while the calls are not attended by the receiver are stored for retrieval later, on the receiver’s /user’s number. 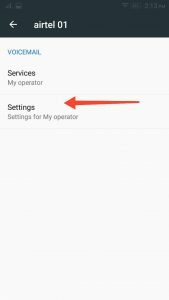 To set up voicemail on Android phones using the services of the phone carrier, firstly go to the dialer or ‘Phone’ icon/button in your phone applications (usually at the bottom of the home screen). Press and hold number ‘1’ key on the dialer keypad. If setting up Voicemail for the first time then the message saying so would be prompted. Then follow the instructions provided to set up the voicemail function; if the key dials the voicemail service. Press on ‘Add Number’ and then tap on the Voicemail option. Next, tap on the ‘Service’ option out of many options in the list. After pressing ‘Service’ option select ‘My Carrier’ option. After above step, tap on the ‘set up/settings’ option. The message ‘Voicemail number’ will appear, asking for the voicemail number set up. Tap on the voicemail number and enter your mobile phone number as prompted. The device is now ready to set up voicemail. Return to the ‘Phone’ app and press and hold number ‘1’ key on the keypad. This step will dial the voicemail service. The instructions shown now will complete the process of voicemail set up. The steps may vary for each service provider and will include selecting a greeting message, password selection and so on. To check the voicemail in future press and hold number ‘1’ key on the keypad or one can check the notifications on phone screen regarding voicemail. In general, the above simple steps are to be performed to set up voicemail on android devices, with a few instructions to be followed as per requirement, which may vary for different service providers; basic procedure being the same. 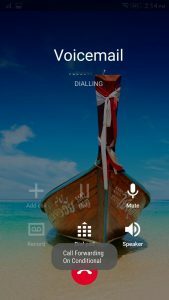 Although most devices have their carriers which provide voicemail services, there is an alternate method of setting up voicemail on android phones using Google Voice application software. Google voice is a recognized way for making and receiving calls on the user’s Google number. It is a widespread service available across the world at cheap rates. Besides calling facility it has a functional voicemail service with huge storage capacity. 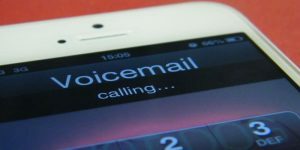 Unlike traditional voicemail through phone carriers, along with voicemail; Google Voice provides various other functions such as access to voicemail using SMSs, Emails and uploading different recorded voicemail greeting for different callers. 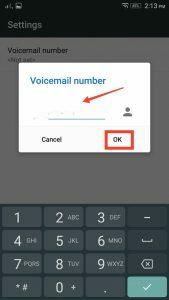 To set up voicemail using Google Voice service, the user has to first obtain the Google number. It is a unique number for the Google account of the user who wishes to set up its voicemail service. The Google Voice voicemail now has an option to connect to original carrier number. It means the voicemail messages are received on the carrier number and one does not need to change his number. If the user does not have a Google number already, the Google number can be obtained on the official Google Voice page. After going to the page the user has to login using the user’s Google account details. It will then ask for some steps to set up Google number. One can enter the area ZIP code to get the desired Google number. It will show a list of out of many options, out of which the user can select the number of his choice. After getting the number click on continue and enter the PIN code. One has to accept the terms of Google service to successfully install the voicemail software. After entering the PIN and confirming it the Google voicemail is set up on the android. Now the voicemail settings have to be configured on the phone. The user has to enter his current number that he uses as a forwarding number on which the voicemail messages will be recorded. When someone calls the user on his Google number, this number will get activated. This means that the user does not have to change his number. After the number is configured with Google number, an automated message will be received on the phone asking for verification of number. After tapping ‘Call Me Now’ button, you can receive the automatic recorded from Google Voice. The user has to enter the code shown on the screen when asked by the voice command on the phone. Once the verification is complete the phone will be disconnected and hence configuration of voicemail settings will stand complete. Hence, the user can easily set up voicemail through Google Voice by carrying out above steps. Although if the user has to install the Google Voice for the first time it might be time consuming to set a new Google number. But easy and cheap service as well as acceptance worldwide of the Google service prove to be worthy of the effort to install the Google voicemail. Most phones have carrier services providing voicemail facilities to their users with different rates for different networks. But reasonable rate for additional functions with voicemail facility is an attractive alternate over traditional carrier method of setting up voicemail. Hence, if the user has problem setting up voicemail through a standard phone carrier or just wishes to install the widely accepted and popular Google Voice, with lesser charges, one has a good option of opting for Google voicemail service available for Android phones. Thus, to sum up, traditionally only telephone service providers and network companies provided voicemail facility at additional charges. But as seen above now there are two basic and common ways of setting up voicemail on android phones; of which Google Voice service provides voicemail facility at nominal rates. With faster technological development we can reasonably say; the coming era will see even more features and easy and cheap access with ever increasing popularity and demand of the above discussed subject in the field of communications. A tech savvy & gadget fanatic by day; An athlete by evening; A poet & melophile by night! In short, I like to grab the most out of this one life we get. 10 Best Skype Alternatives you should try!